ownCloud offers flexibility and privacy, and a safe haven for calendars, files, contacts, email and more. You’ll be able to access and share on personal devices. 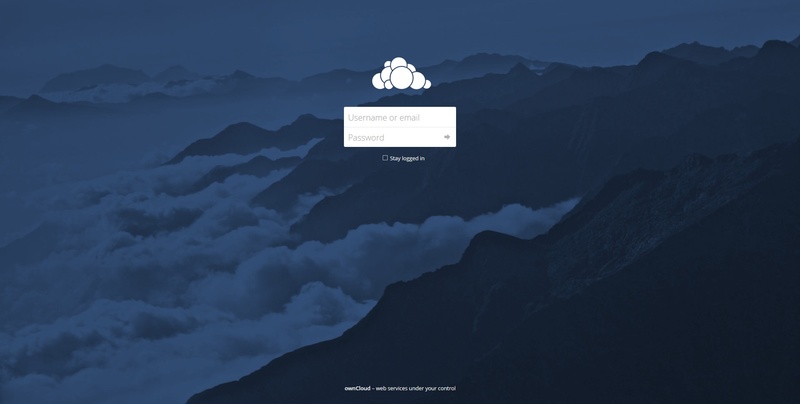 An enticing aspect of ownCloud is the ability to develop your own personal ownCloud server app. Even if you have no background in app development, ownCloud simplifies the process. 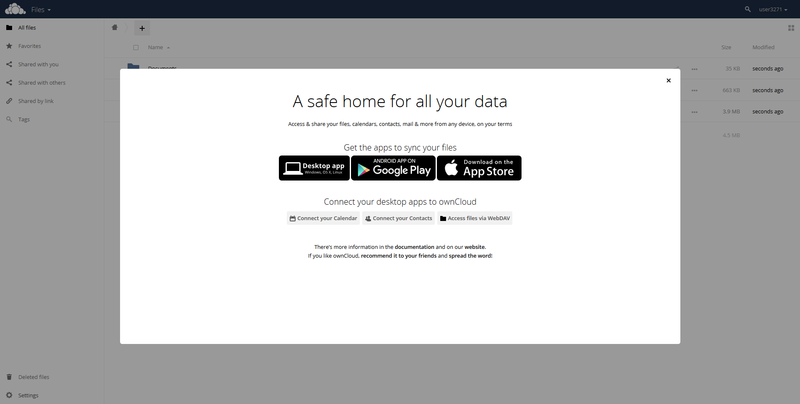 Fortunately, with our ownCloud One Click App, you can quickly set up your cloud and leave the remaining details to us. In simple terms, an OCA consists of a regular system image the same as if you were going to provision an Ubuntu server. The cool thing here is that we’ve set up special images that have your favorite applications pre-loaded into them. The reason why you’re doing this is that it’ll speed up your setup time and make sure that the system has the right dependencies to accomodate the app. An OCA quickens setup time. Like with Ubuntu server provisions, the OCA allows initiation of an image system. There is a library of images for use with any favored apps. They can be pre-loaded into apps. The feature helps ensure your system has all its proper dependencies to accommodate the application. An instance is a concrete occurrence that accomplishes a task during running programs. In the case of an ownCloud image, it’s the process of getting your selected image to show up accordingly. This action will take you to Instance Creation. 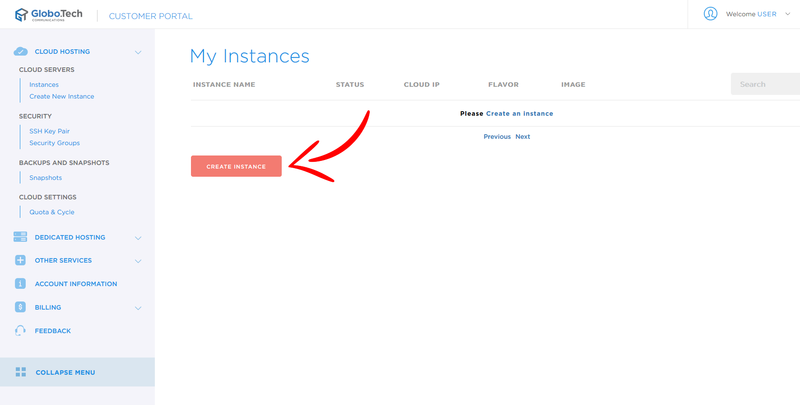 Use the dialogue box to give your new Instance a name. Flavors are performance packages. They are attributed to cloud orders to limit RAM, CPU and DISK usage. You have two options here: (i) Popular 2 for a small blog or (ii) Popular 3, for active user bases with an accumulation of visitors. If you’re unsure about which is best, it’s not a problem. You always have the opportunity to upgrade the cloud server’s performance. Once you have made a choice, select the GET IT button. 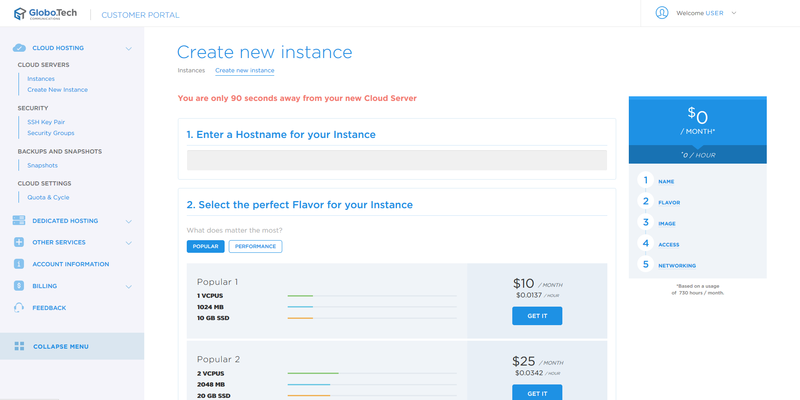 You have the option of selecting an image to apply to your cloud server. Click on the Application tab. Find and select ownCloud from the choices. We must now choose whether to use Security Groups. In another article, we describe how to accurately generate and use these actions. For this exercise, we will disable the feature. Now click to create an Instance to complete the task. Your Instance has been created. 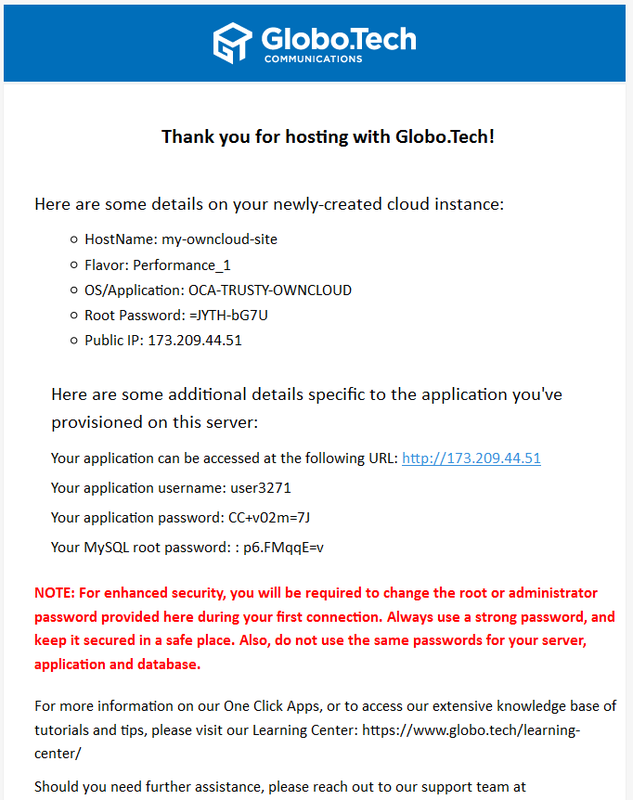 Check the appropriate email address for server information. 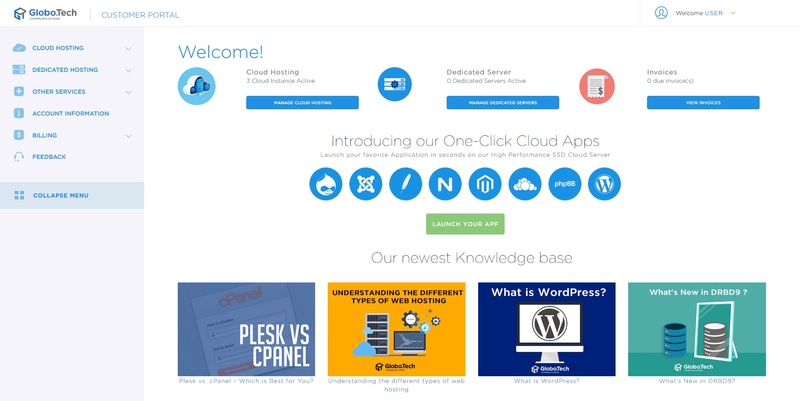 This will contain everything you need for your ownCloud deployment and Instance. With information in hand, let’s test the ownCloud Instance. Access the Administrator Account. Do this utilizing the credentials received via the authorization email. You should land on the dashboard. We will now confirm if your ownCloud Instance operates properly. Let’s configure the Instance, adding content. Your ownCloud Instance is going to need a domain and DNS records. This allows users to visit the site with the domain name as opposed to needing an IP address. If you have yet to do so, purchase a domain for the site. Ask the GloboTech team whose many services include the selling of domain names. We’re going to create two “A” records. Both will point towards your website’s IP. Give these records time to propagate to the Internet. Though many records only take a few hours, it should take no longer than 48. While there is documentation on ways to do this, we’ll stick to the initial steps. 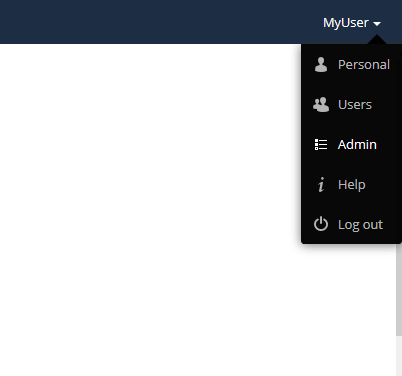 When generating an ownCloud One Click application, create an empty profile. Modify the profile by placing your mouse over the link “user3271” and click on Personal. On this landing page, enter names, passwords, email addys, as well as notification settings. 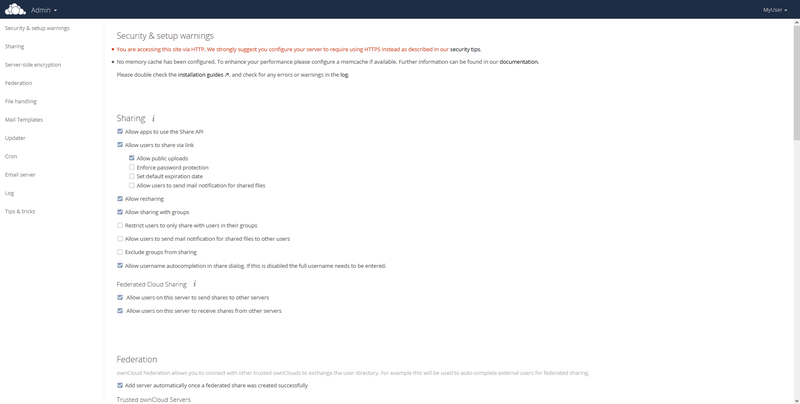 You will now review the Admin page for the entire ownCloud Instance. Go to the MyUser link at the top right. (It’s now MyUser as we changed the name in the last step.) Select Admin. You are now at Main Admin. Here you have the option to establish numerous settings. Your Instance is ready for production. 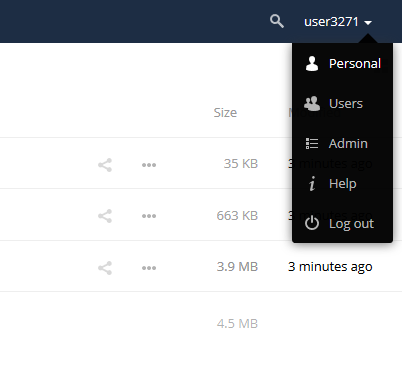 Owncloud is a file synchronization and collaboration platform that can run on your own server. Featuring a nice web interface, clients for all major operating systems, and standards-compliant use of APIs and protocols, Owncloud can replace many popular cloud services with a solution that respects autonomy and privacy. In this guide, we’ll install Owncloud on an Ubuntu 16.04 LTS server. Start by adding the Owncloud package repository. Not only will this be how we install Owncloud, but it will also make upgrades extremely easy later. In order to ensure that the packages we install are official, we’ll also retrieve the GPG key for the Owncloud repository we’ve just added. With the repository installed and the key added, we must next update our package cache so Owncloud is available. We’ll use MariaDB as Owncloud’s database server. Install that now. The database server must now be secure. Let’s take care of that. Owncloud needs a database and MariaDB user to access it. Here we’ll create the necessary database and access credentials. Your web server needs permission to write to its document root, as files and other synced content must be persisted to the disk. Here we grant it the necessary access rights. Everything is now set up on the server itself. The remaining installation steps are performed via Owncloud’s web-based installer. Visit http://your_ip/owncloud to complete the process. Start by creating your username and password. 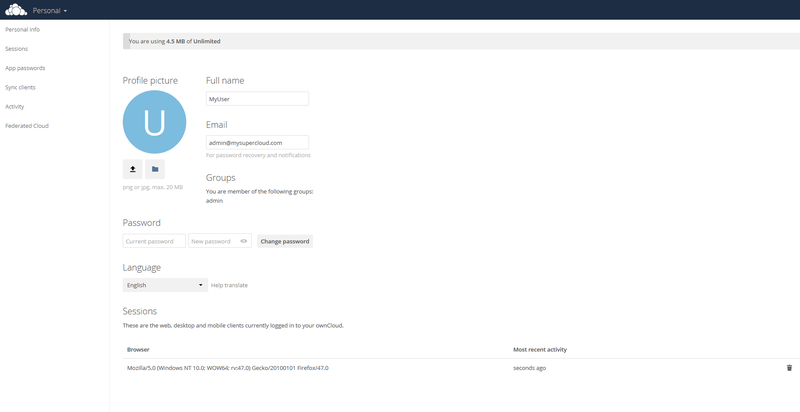 Not only will this user be able to sync files and store contacts, but it will also have administrative privileges for Owncloud itself. Choose MySQL/MariaDB as your database server. Next you’ll enter the database name, username and password that we set up earlier. Owncloud is now installed. Next you’ll want to install clients on your desktop and phone, and to sync your contacts and calendars using your new installation. Share this article with any friends who may be interested in hosting their own Dropbox or Google Calendar.